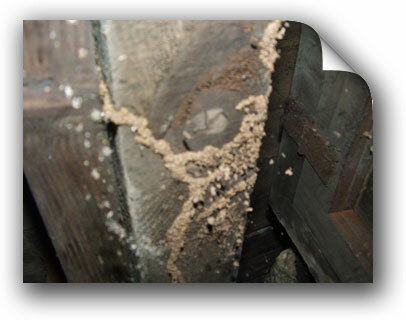 Integrity Inspection offers the Wood Destroying Insect inspection (commonly called the WDI or termite inspection) as a part of our home inspection packages. This inspection is required for many home mortgages. Most home inspectors DO NOT HAVE this license. As a home buyer you should ASK for it. Our Pennsylvania License number is BU10628. Some other inspectors sub contract the wood destroying insect inspection out. This makes for scheduling problems and possible conflicts of interest. You should know that if we find evidence of wood destroying insects, we do not treat the property. Doing so would be a conflict of interest. We work hard for you, our client, to provide you with the most accurate, detailed wood destroying insect report. You can rest assured that we won’t be trying to “sell” you on a treatment or preventative maintenance program.